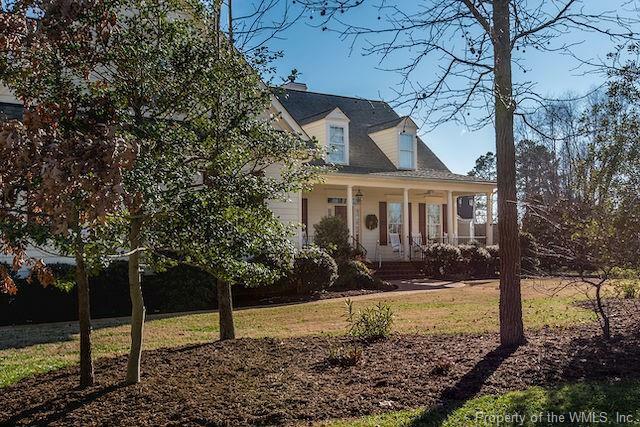 This home exudes Southern charm w/a gracious full front porch to welcome guest. Located in the newer section of Western Gailes, it provides a convenient location closer to the News Road Gate. It has exceptional 1st flr. Living w/2 bedrooms and full baths on the main floor as well as a huge office/living room, dinning rm, & sunroom. The taller ceilings, transoms, oversize baseboards, solid core door and custom built-in's make it show like a model. A master suite makes up the left side of the home w/a huge master closet, a master shower w/2 benches truly large enough for two & access to the screened porch providing the perfect sanctuary overlooking the beautifully landscaped, private backyard. A private well for the irrigation system makes the lawn easy to care for w/o huge water bills. An oversize garage w/work bench is perfect for even the largest of cars with space left over. There is ample storage to be found in the massive walk-in attic. Subject to ratified contract with contingencies. Owner wishes to continue to show the property and will consider other offers.